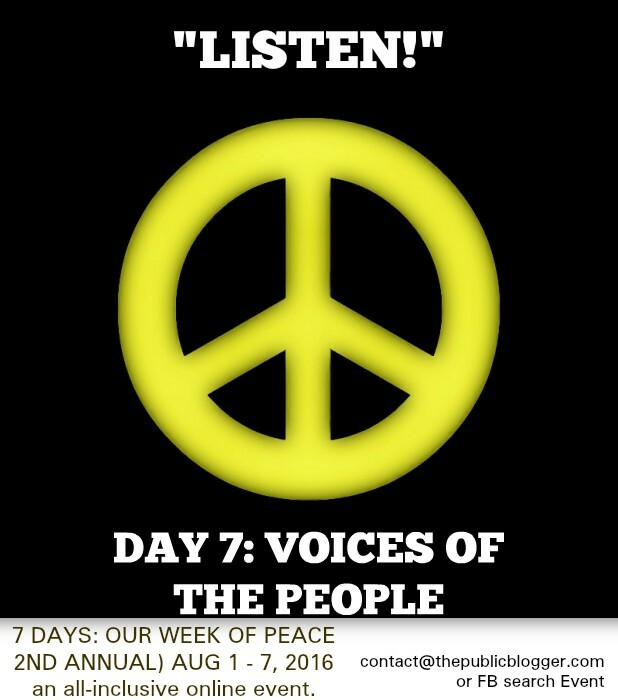 With the 2nd Annual ‘OUR DAY OF PEACE’ titled 7 DAYS, scheduled for August 1 – 7, 2016 I thought Evolution would be a great preamble. But the troubling past few weeks required a more visual representation as a demonstration of the defeatable war on peace we are currently engaged in. Hope the day is treating each of you with the respect and dignity you deserve. written, edited & narrated by Kendall F. Person.